Bayley Pool Pit was in Reddish Vale, Denton, and it was situated roughly midway between the southern end of Horse Close Wood (Bluebell Wood) and the northern end of a loop in the river Tame. Speaking in 1927, the 80-year old veteran miner, John Harrison said this about it. 'There was Bayley Pool Pit, near where the sewage works are now.' Mr Harrison had 68 years of service with the Fletcher family/Ellis Pit/Denton Colliery Company and he started work in 1859 when he was 11 or 12-year's old. His comments were recorded in the North Cheshire Herald on Friday, 28 January 1927. John Harrison was born in 1848 and he was the son of George Harrison, a coal miner, and Hannah. In 1861 he was living with his parents, brothers and sisters on Stockport Road. 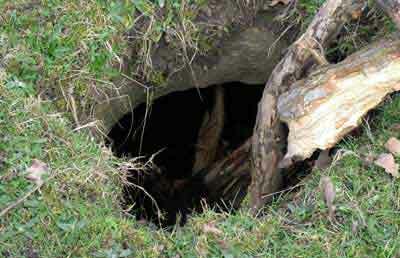 Although no address was recorded, it is known that it was somewhere in the vicinity of Burton Nook. It is understood that Bayley Pool in the river Tame and the adjacent Bayley Pool Pit were named after a bare-knuckle boxer who fought at the nearby Arden Arms. The Fletcher family operated Bayley Pool Pit and the shaft was probably sunk in the 1790s. A map of 1848 shows that the pit was still being worked at that time. Some of the miners working at this pit probably lived at the nearby hamlet of Beat Bank and to this day there is a footpath connecting the two places. Other footpaths enabled the mine to be approached from the Town Lane/Ross Lave Lane area of Denton and from Reddish Vale. There was also a footpath connecting Ellis Pit (Denton Colliery) at Burton Nook with Bayley Pool Pit. 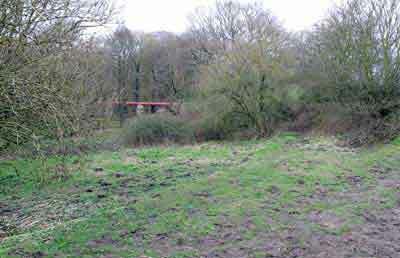 Access for coal carts from Stockport Road was via a lane through the farmyard of Yew Tree Farm (Beat Bank Farm), the occupants being tenant farmers of the Fletcher family. 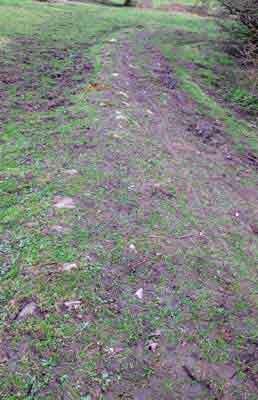 Until the early 1970s it was possible to walk along this lane but this is no longer feasible as part of it is no longer extant and the remains have been disturbed and are now overgrown. Another interesting feature is that the earthworks of the unfinished Beat Bank Branch Canal of the Ashton Canal terminated a short distance away to the north west of Bayley Pool Pit. 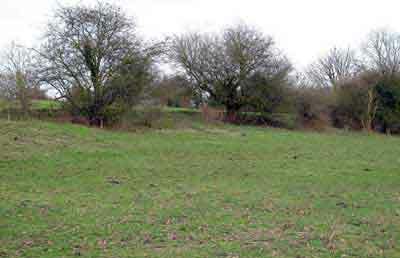 Site of Bayley Pool Pit looking northwards, 15 March 2009. The access lane from Stockport Road can be seen curving round in the foreground. 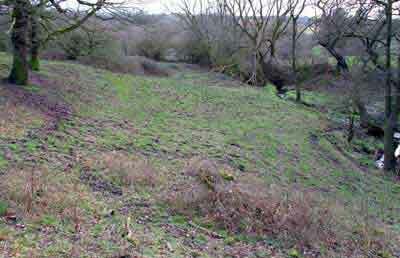 Site of Bayley Pool Pit looking southwards, 15 March 2009. Footings of a stone wall adjoining the site of Bayley Pool Pit, 15 March 2009. Mine drainage sough adjoining the site of Bayley Pool Pit, 15 March 2009. Remains of the access lane from Stockport Road, 15 March 2009.